Check This Out - EDIBLE MARTNIS, What a Concept! 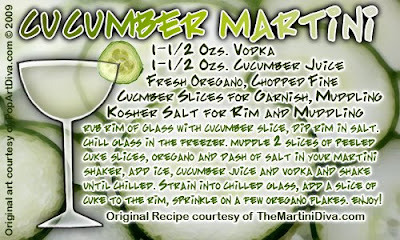 I found this video yesterday on how to make Edible Martinis! What an amazing idea - now I want a vacuum machine! Oh, the fun I could have! I would probably use vodka instead of gin as I'm not all that fond of gin in most cases. BTW, I do agree that if you don't put vermouth in a gin martini it's not really a martini!